OBJECTIVE: Thyroid hormone accelerates energy expenditure; thus, hypothyroidism is intuitively associated with obesity. However, studies failed to establish such a connection. In brown adipose tissue (BAT), thyroid hormone activation via type 2 deiodinase (D2) is necessary for adaptive thermogenesis, such that mice lacking D2 (D2KO) exhibit an impaired thermogenic response to cold. 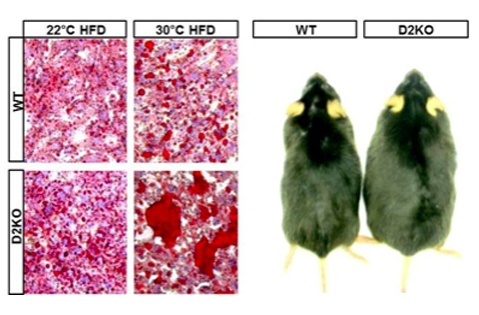 Here we investigate whether the impaired thermogenesis of D2KO mice increases their susceptibility to obesity when placed on a high-fat diet. RESEARCH DESIGN AND METHODS: To test this, D2KO mice were admitted to a comprehensive monitoring system acclimatized to room temperature (22°C) or thermoneutrality (30°C) and kept either on chow or high-fat diet for 60 days. RESULTS: At 22°C, D2KO mice preferentially oxidize fat, have a similar sensitivity to diet-induced obesity, and are supertolerant to glucose. However, when thermal stress is eliminated at thermoneutrality (30°C), an opposite phenotype is encountered, one that includes obesity, glucose intolerance, and exacerbated hepatic steatosis. 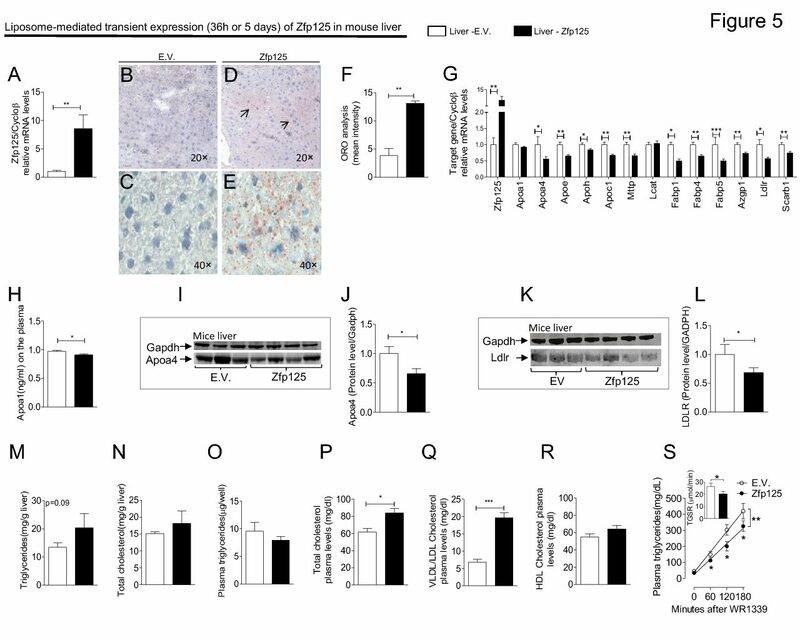 We suggest that a compensatory increase in BAT sympathetic activation of the D2KO mice masks metabolic repercussions that they would otherwise exhibit. CONCLUSIONS: Thus, upon minimization of thermal stress, high-fat feeding reveals the defective capacity of D2KO mice for diet-induced thermogenesis, provoking a paradigm shift in the understanding of the role of the thyroid hormone in metabolism. Melany Castillo, Jessica A. Hall, Mayrin Correa-Medina, Cintia Ueta, Hye Won Kang, David E. Cohen, and Antonio C. Bianco Diabetes. Apr, 2011. PMID: 21335378.